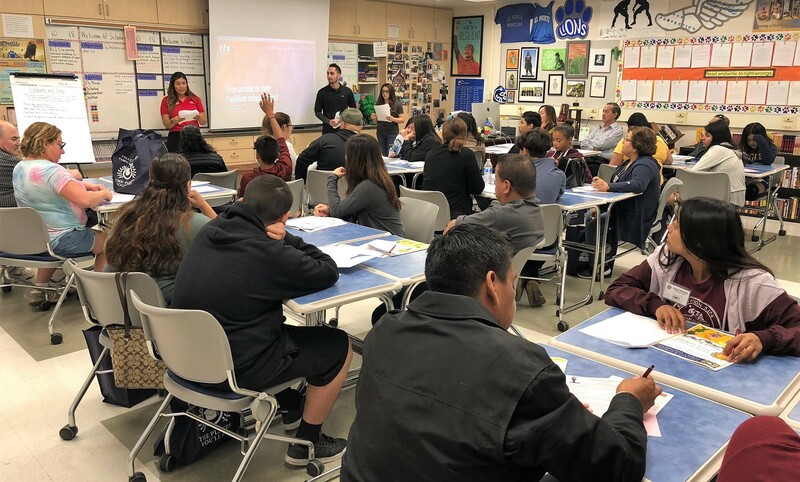 The conference – held in October at El Monte High School – offered 36 workshops (conducted in English and Spanish) that covered a range of topics, including financial aid, college entrance requirements, resources for Dream Act students, the 21st century classroom and a review of the UC and CSU systems. The conference was followed by a college and community outreach resource fair. The event was held on a Saturday to ensure families had the opportunity to attend. 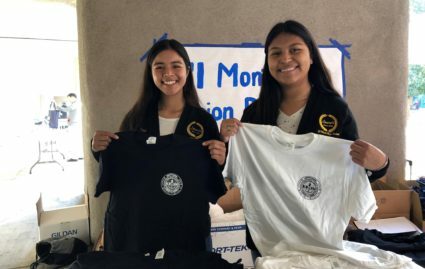 It was held in partnership with El Monte City and Mountain View school districts, the El Monte Promise Foundation, Rio Hondo College and UC Irvine. The Places You’ll Go! conference kicked off with workshops tailored for specific grade levels: Life Skills to Survive High School (grades 7-8); Pathway to College (grades 9-10); Understanding College Options (grade 11) and Senior College Timeline (grade 12). Families attended sessions based on their interests. General information workshops covered topics such as filling out financial aid applications, career technical education, out-of-state college options, transferring from a community college to a university and a five-step guide to paying for college. More specific workshops focused on financial literacy and how to grow wealth; email etiquette and the importance of students promoting themselves by networking; and life skills to survive college. A parent panel focused on the unexpected costs of college and the transition from high school to university, while a student panel allowed participants to gain insight directly from Rio Hondo College students. 113018_EMUHSD_FAMILYCONFERENCE1: More than 300 El Monte-area students and their families attended the inaugural College and Career Family Conference on Oct. 27. “The Places You’ll Go!” conference provided students and parents a variety of workshops to ensure post-secondary success. 113018_EMUHSD_FAMILYCONFERENCE2: The College and Career Family Conference offered 36 workshops that covered topics such as financial aid, college entrance requirements and scholarships. More than 300 El Monte-area students and their families attended the inaugural College and Career Family Conference on Oct. 27. “The Places You’ll Go!” conference provided students and parents a variety of workshops to ensure post-secondary success. The College and Career Family Conference offered 36 workshops that covered topics such as financial aid, college entrance requirements and scholarships.